MILES OF VALUABLE RIVER FRONTAGE. The recreational aspects of Cross Mountain are an integral element of its operations and profitability. This historic Colorado Ranch holding features two distinct divisions: an Upper Ranch with matchless wildlife, and a Lower Ranch with some of the most senior water rights in the Centennial State. Mountain states give cattlemen unique challenges. Come winter, the little forage available lies buried beneath blankets of snow. The standard solution is to bale tons of protein-rich hay during the summer to feed herds the better part of the winter. But there is an upside to this demanding terrain. Cattle ranches out West tend to harbor fantastic wildlife. This is especially so when pastures and property lines abut swaths of public lands. One would be hard-pressed to single out a more robust example of this Western ranching model than Colorado’s Cross Mountain Ranch. 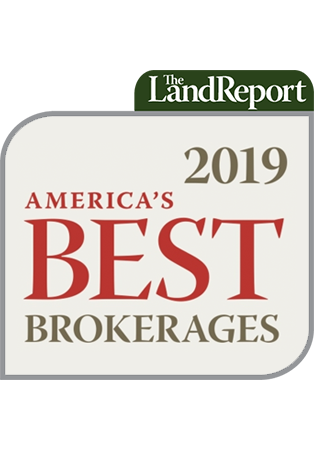 I say this not only because of the ranch’s significant deeded component – more than 56,000 acres – but because it enjoys priceless senior water rights as well as more than 250 square miles of leased public lands. ULTIMATE HABITAT. North America’s largest elk herd migrates from Cross Mountain’s Upper Ranch to the Flat Tops Wilderness Area. Each of Cross Mountain’s two divisions is a standout operation. When combined, they produce substantial synergies. The Upper Ranch, which sits 30 minutes west of Steamboat Springs, dominates the Williams Fork River Valley. It also borders the north slopes of the Flat Tops Wilderness Area. This pairing of private property and adjacent public lands makes the Upper Ranch a recreational gem. Multiple rivers and streams, including more than two miles of the Williams Fork, are one reason why the Upper Ranch is a coveted brown trout fishery. Mountain biking, horseback riding, snowshoeing, and cross-country skiing are also staples of ranch life, and the proximity to the 235,214-acre Flat Tops Wilderness only heightens these opportunities. The best Western ranches benefit from the patchwork of public lands that are interspersed around and throughout them. The Flat Tops also are home to the largest herd of elk in North America. Thanks to Cross Mountain’s participation in Colorado’s Ranching for Wildlife program, the Upper Ranch receives 100-plus elk tags as well as 25 mule deer tags. Keep in mind that in several Western states, one or two tags per landowner can be typical. By themselves, this cache of wildlife rights gives Cross Mountain peerless status. TURNKEY IMPROVEMENTS. This L.L. Bean-designed lodge serves as headquarters of the Upper Ranch’s hunting operations (top left). The historic barns have long been an integral element of Cross Mountain (lower left). 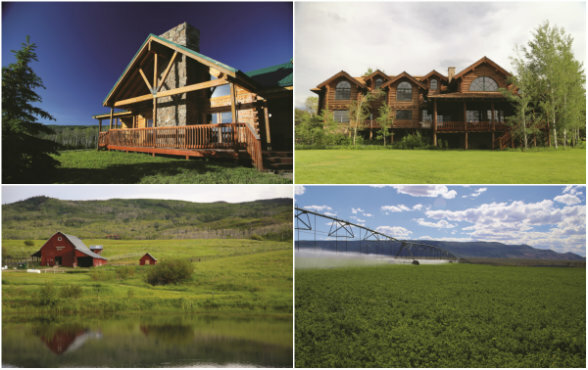 The Boeddeker family built a kid-friendly 11,000-square-foot lodge at the center of the Upper Ranch (top right). Everything from pivots (bottom right) to employee housing and machinery is in place on the Lower Ranch. During the summer months, the Upper Ranch also serves as the focal point of Cross Mountain’s livestock operation. In a typical year, the Upper Ranch carries 2,000 mother cows and approximately 10,000 sheep. In addition to its own pastures, cow-calf pairs are stocked on adjoining public lands per established grazing allotments. In winter, the livestock are trailed off the high country and trucked down Route 40 to the Lower Ranch. This high-desert sanctuary benefits from the ranch’s 100 separate water rights that include a whopping 479 acre-feet of storage and 108 cubic feet per second of direct flow rights. As America’s population approaches 350 million, the value of privately owned water rights will only increase. The Lower Ranch can pull water directly from the Yampa and the Little Snake to irrigate thousands of acres of fields. This riparian corridor forms an integral part of the Upper Colorado River Basin and is one of the least dammed stretches of waterways in the West. Cross Mountain’s senior rights actually supercede those of many other users upstream, including some belonging to Steamboat Springs. 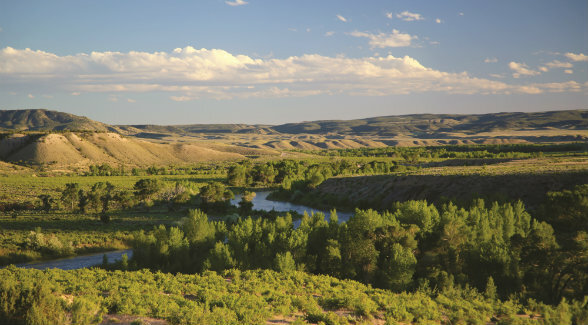 Again, just like the abundant fly-fishing and trove of elk tags on the Upper Ranch, these water rights are a long-term investment opportunity in themselves. 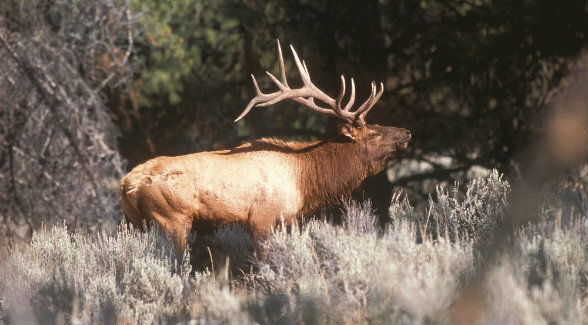 In addition, the Lower Ranch is rated a trophy elk unit and enjoys coveted landowner elk and mule-deer tags. PRIVATE PARK. For 25 years, the Boeddeker family has enhanced and enjoyed this breathtaking Colorado ranch. Ken Mirr is no stranger to the diverse topography of this sprawling ranch. In 2012, he listed and sold Utah’s Thunder Ranch, which borders the Green River and has a massive haying operation. He also listed and sold the Mantle Ranch, which practically neighbors the Lower Ranch in Moffat County and is completely surrounded by Dinosaur National Monument. Mirr enjoys a close relationship with the Boeddekers, and supported their decision to protect 16,000 acres of critical sage grouse habitat on Cross Mountain. 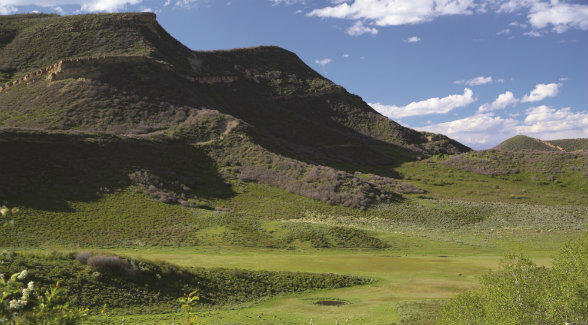 The resulting conservation easement, which was crafted with Colorado Cattleman’s Agricultural Land Trust, drew high praise.